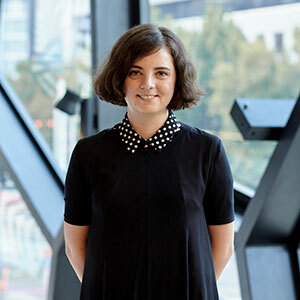 Three diverse female writers join Melbourne Recital Centre’s Writers-in-Residence program this year, in partnership with the Emerging Writers Festival. 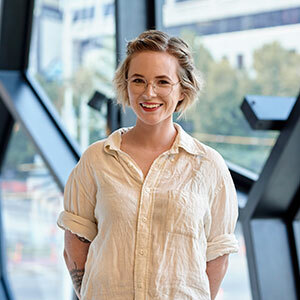 Following the Writers-in-Residence program launch in 2017 with Australian author and journalist Chloe Hooper, and continuing partnership with Emerging Writers Festival from 2018, meet this year’s Writers-in-Residence. Kiara is a poet with a background in classical cello. She is interested in verse narrative and art criticism as kindling for further art-making. Who are three artists who inspire you? I mostly write poetic narrative, either nonfiction or imagined. I write down what I can’t say aloud. I most commonly listen to one album per week on repeat. In those seven days, I repeatedly transform and find countless ways to get inside it. I don’t easily find that elsewhere. Heat and Light by Elen van Neerven. Caitlin is an essayist. She is interested in the essay as a potential site for intimacy and honesty and not quite knowing what you’re getting at but writing towards it anyway. Who are three artists that inspire you? I try to write as lucidly as I can about things I don’t fully understand. I like to take curiosity as my starting point—I write to scratch itches. I like music, all kinds, and I listen to it a lot. I’m not a musician myself, which I regret—although I have been trying to teach myself to play the guitar. I was excited recently when I earned some blisters from practising chords. One of my favourite things is when I’m watching live music and I catch this particular look musicians sometimes exchange with each other as they’re playing—in The Children’s Bach I think Helen Garner refers to it as a ‘smile of tender complicity’. There’s a fascinating introversion/intimacy dynamic in music that makes me envious of musicians. Currently my favourite song is one my son made up when he was two, about chicken and chips. I sometimes sing Phoebe Bridgers songs to my cats. Xanthea O’Connor is a musician and writer with a background in music journalism, band management and radio. She’s currently interested in the possibilities of incorporating field recordings into her essays and criticism. My essays are cathartic to write and often something I wish I’d read when I was younger. I’m experimenting with blending music and sound into my writing, with the intent of making it a more immersive experience for the reader and myself. Music is my longest enduring friend. The kind of friend that has caused me some of the most intense grief and greatest joy, but I wouldn’t know where I’d be without it. 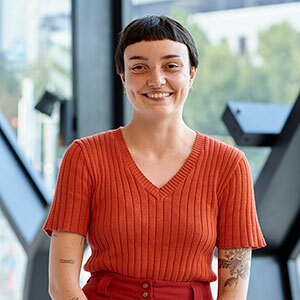 What's the best book you've read recently?Hunger Makes Me A Modern Girl – Carrie Brownstien I grew up in a quiet Perth suburb, so my childhood was about about as far from the Riot Grrl movement as it could get. Reading this book was like sneaking into my cool big sister’s bedroom, except I don’t have a big sister. You know what I mean. It was thrilling. Our 2019 Writers-in-Residence will be sharing their creative responses to and interpretations of a range of music experiences at the Centre throughout the year here on Soundescapes. They will also be taking part in an event during the Emerging Writers Festival, which runs from 19-29 June 2019.